Ron Y. Goldstein, M.D. is a fellowship trained plastic surgeon. He is a Diplomate of the National Board of Medical Examiners. Dr. Goldstein earned a Bachelor of Science degree in biochemistry from the University of Wisconsin. He received his Medical Degree from Rush Medical College in Chicago, Illinois. His prestigious academic achievements allowed Dr. Goldstein the opportunity to complete a general surgical internship and residency at Mount Sinai Hospital in Chicago. Later, Dr. Goldstein continued his training, completing a hand surgical fellowship and plastic surgical residency. In addition, Dr. Goldstein completed additional fellowship training in cosmetic surgery and aesthetic surgery. This extensive training allowed Dr. Goldstein to practice under the guidance of some of the most well-respected cosmetic, plastic and hand surgeons in the country. Dr. Goldstein has volunteered his time to serve several humanitarian causes such as Safari and Hospital research in Africa, Operation Smile – cleft lip & palate surgery in Managua, Nicaragua and Operation Hand in Hand in Orange County, California. 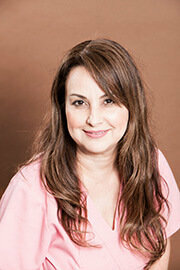 Eva Hernandez’ expertise includes chemical peels, dermal fillers, neurotoxins and aesthetic laser treatments. She received her undergraduate education from Florida International University in Miami, Florida and California State University in Long Beach and earned her Physician’s Assistant degree from Charles Drew University of Medicine and Science in Los Angeles. Ms. Hernandez holds certification from the National Commission on Certification of Physician’s Assistants and is also a member of the Society of Dermatology Physician Assistants and the American Academy of Physician Assistants. She also specializes in general dermatology, skin cancer, acne as well as cosmetic dermatology. In addition, Ms. Hernandez performs laser therapy, provides treatment for photodamage and treats tattoos, birthmarks, vascular lesions, and scars. Carole Martin completed her registered nursing program at Cypress College over 25 years ago. With a passion for cosmetic medicine coupled with an aesthetic eye, Carole has dedicated many years to her continued training and perfecting her cosmetic skill set. 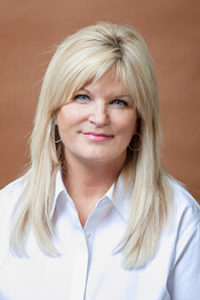 For over 6 years, Carole was the nursing supervisor at the University of California, Irvine Dermatology Department where she managed a busy 13 doctor dermatology center. While there, she performed and trained staff on laser treatments and chemical peels, as well as assisting in the training and administering of Botox and Dermal Fillers. Carole has received advanced level training in Dermal Fillers and Botox. She continues to stay abreast of the latest cosmetic treatments and associated training.